Tour Coordinator, Loren has a knack for details and loves working to make things go smoothly, creating systems and using organization to help people (and our team!) feel at ease. She has a history of event-related planning, learned and modeled for her by family of strong, resourceful, and artistic women. Loren is a creative – she is a photographer, videographer, and graphic artist. She loves capturing and sharing stories and devours new experiences, whether through travel or through other artistic means. Her journeys have taken her all over Europe, as well as around the US and Mexico. She has participated in our Guatemala Photo Tour with Jim. She loves learning about new cultures and greatly enjoys bringing inspiration home with her. When she’s home you can find her attending concerts that fill her soul, Jazzercising, and capturing life on her iPhone or her DSLR. 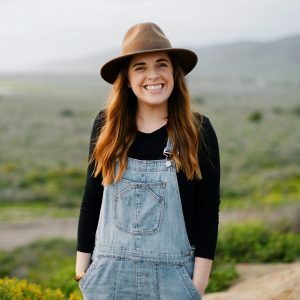 She is a third generation San Diegan and a third generation San Diego State Aztec, where she graduated with a Bachelor of Fine Arts with an Emphasis in Graphic Design. You can see her design work at lorenelizabeth.com.